I hadn't heard of Arbonne until a few weeks ago, when an email appeared in my inbox from an Arbonne Independent Consultant. 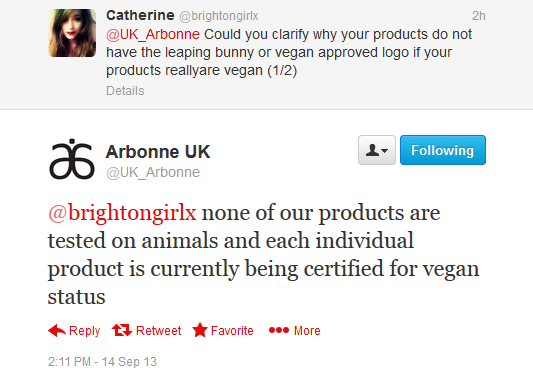 She explained to me that Arbonne's products are "botanically based, chemical free and 100% vegan". I liked the sound of this and asked if I could try out some samples. 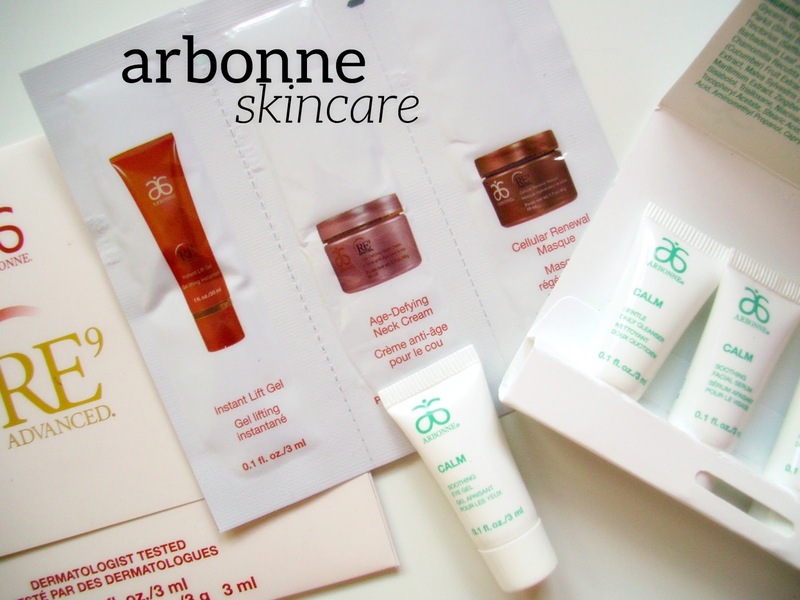 A few days later, an envelope containing sachets of Arbonne's RE9 Advanced line and tiny tubes of their Calm range dropped through my letter box. So far, so good. Then it came to trying the products. According to their website, Arbonne's Calm range contains "extra gentle formulas [which] help calm and soothe sensitive skin that is easily irritated". I have sensitive skin and was keen to test the claims. I was sent a mini version of the entire range, consisting of a cleanser, serum, moisturiser and eye gel. The products all seemed really lovely to use. I experienced a slight tingling upon application of the serum but I put this down to the natural ingredients it contains. After using all four as my night time routine my face was hot and tingly. I also experienced prolonged redness (read beetroot face for at least half an hour). I emailed the Independent Consultant to raise my concerns and in her reply she stated that this was normal, it was just my skin trying to "push out and remove any built up toxins from other products containing harmful products". She explained that this would stop after two or three weeks of using the Calm range. Firstly, my samples only contained enough for about three days use and secondly, her explanation seemed more like an excuse. And that's when I took to Google and read the term 'greenwashing' for the first time. 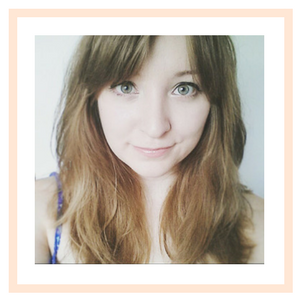 I found articles that highlighted the reality of Arbonne's 'botanically based' ingredients. Although they are using natural and plant based items in their products, they are also using other nasties that by far outweigh the good of the natural ingredients. I read the following comment on a post, written by an Arbonne rep; "Anyone looking for all-natural or organic products should not consider Arbonne as their skin care/nutrition brand." Why, then, do use words in their marketing which suggest they do? I decided to check this for myself and, yes, they are registered on the Leaping Bunny website but not as a licensee of the logo. No sign of them on the Vegan Society site though, which could verify the information I received. In the mean time, I had another email from the Independent Consultant, who had passed my concerns on to her line manager. I found her reply the most baffling of all and certainly didn't come any closer to getting a clear and simple explantion. On explaining how Arbonne don't use Sodium Lauryl Sulphate, she said this; "What Arbonne does, if they want to use that particular ingredient, they design it and create something to do the same job, but using far safer, more expensive, and mainly botanic ingredients to do that. It is hard to explain, but just because we might contain an ingredient generally thought of as harmful, does not mean we created ours in the same toxic ways". Now, I'm no scientist, but from what she's saying, the processes involved don't sound very pure or natural. Greenwashing is defined as 'disinformation disseminated by an organization so as to present an environmentally responsible public image'. So it's the fancy and misleading marketing language leading the consumer to believe that a product is more green or natural than it really is. - Read your labels - really carefully! Just because the packaging has the words green, pure or natural all over it doesn't necessarily mean that the contents are green, pure or natural. - Look for proof. Companies who are proud of their green ethics will happily share their accreditation and approvals. - Ask for the truth. You should be able to receive a comprehensive answer to any of your concerns. I hope this post has been useful, but please remember that I'm no expert in this area. However, my experience with Arbonne has taught me to be sensible and really think about my decisions as a consumer. The bottom line is that greenwashing allows companies to financially exploit the public's green ethics, and that is wrong. Ahh this is a great post! I actually had the same email from Arbonne, but instead of samples they wanted me to arrange a session about becoming a consultant, which I did not wish to do. Many persistent emails from them later, I stopped emailing. I would have been more keen to do so had they actually been able to give me more information on the products, but that appeared to be some closely guarded secret! Very interesting! This is a fantastic post! I too had a similar reaction to Arbonne products and they do push the hard sell. This is a great blog and I'm adding it to my regular reading. I've just tagged you in the Liebster awards. If you read my latest post you'll see the suggested questions to answer. Don't forget to comment on the post with your link once you've completed your answers so I can read and comment back!